MOV to SVCD Converter -- Convert MOV to SVCD. How to Convert MOV to SVCD using Boilsoft MOV Converter? Using our MOV Converter to convert MOV to SVCD(Super VCD) is very easy. 1. 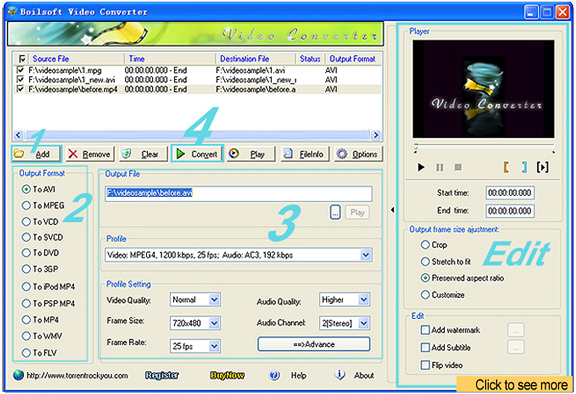 Launch Boilsoft MOV Converter, Add your MOV video file. 2. Select source MOV video file from file list, and select SVCD as output format. 3. Set Output folder for SVCD output file. SVCD output settings are all can be customized. 4. Click convert button to convert MOV to SVCD.